Most runners intuitively know what is wrong. You run, you train, you suffer… and you know how your body feels. When something isn’t quite right you sense it. You may not understand the all of the subtleties of anatomy, but you likely have a sense of what is wrong if you have an injury. Runners don’t really need doctors. Runners only need a clear diagnosis and a plan to heal so they can return to running. After all, once a runner knows where they are going, they have no trouble staying motivated to get there. Most runners are busy and don’t want to waste time. They just need confirmation that they are on the right path. If you are reading this, you have likely already talked to friends, watched videos and read articles that led you to believe you know what is wrong with your foot. Maybe you think it is a stress fracture. Maybe you think its plantar plate sprain. Or maybe you think it’s a neuroma. I always ask injured runners…”what do you think it is?” Most of the time they are right. Most of the runners I see in person have made the right diagnosis themselves, before I ever even see them. All I do is help them understand (and believe) that it isn’t some other similar condition. I remove confusion and help squelch their doubt. That is absolutely the most valuable thing I do for them. The second most valuable piece of information the injured runner gets from me is the treatment plan. I believe this is less valuable because there are more than a million sources of information that outline treatment options for varies foot injuries. You can get that information for free. But if you are still confused and think you need the help of an expert, a “Virtual Doctor Visit” is the solution. 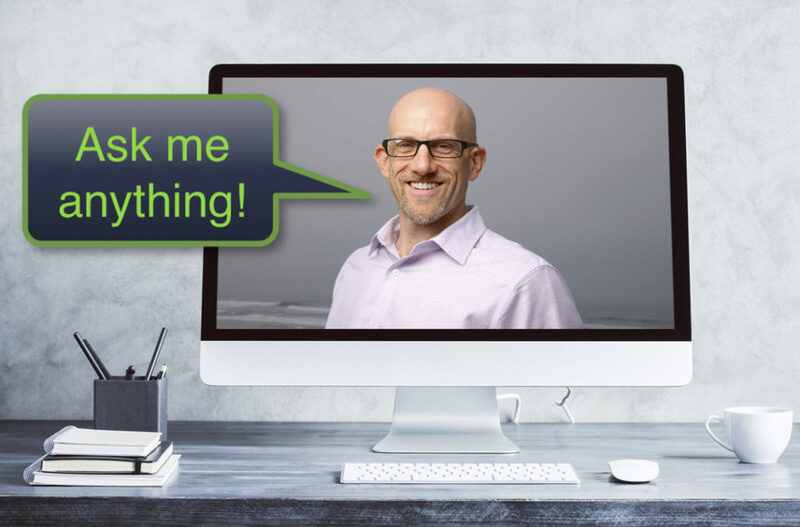 I have been “meeting” with runners all over the world and providing just that sort of clarity through online consultations for years. We can discuss your injury, get the answers you need and explain what you REALLY need to do to keep running and heal as fast as possible. If you have a running injury and some doctor told you…”you should stop running”…you probably realize you need a second opinion. But you may not want to waste your time driving around town, looking for parking or waste an hour sitting around some stale doctors office, waiting and waiting, just for a doctor to only spend five minutes with you. Injured runners don’t need the “standard of care.” Runners need something better! Dr. Segler is an award-winning, nationally recognized expert on running injuries. 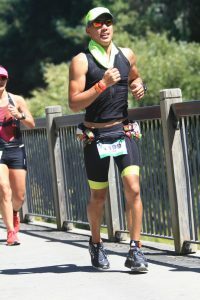 Every day he helps runners like you figure out, not only how to help heal common running injuries, but more importantly how to stay fit, maintain your running specific strength and continue running. The truth is that the majority of the time I see patients in person, I know what is wrong before I even see them. No, I don’t think I am telepathic. But all I do is think about running injuries. I wrote a book on running injuries. I lecture at medical conferences about running injuries. I teach other doctors about running biomechanics. And I run. When a runner calls me for the first time to schedule an appointment she invariably tells me something about the pain, and how it is disrupting her running. She also tells me something about what happened leading up to the injury. Based only on hearing the runner describe the problem and description of how it began, I come up with a very, very short list of possible causes. When I see the patient in person, I get more details on the problem and its cause. This shortens the list further, maybe to only one or two possible conditions. In the overwhelming majority of cases, my physical exam (poking and prodding on the patient’s foot) simply confirms what I have already decided is the real problem. At that point the physical exam portion of the visit is simply a demonstration to the patient that I have the right diagnosis. If a patient already has concluded that they have the right diagnosis and just want to confirm it, then the physical exam portion isn’t really adding that much value in terms of diagnosis…it is just helping the patient understand the condition better. After years of seeing patients and explaining running injuries, I realized that in most cases, most of the time, the runner could have achieved the same outcome…faster…with just a discussion. If you think you know what is wrong with your foot, you may simply need to have a conversation with an expert to confirm your diagnosis. A simple phone call to an expert can accomplish that. If you are confused and can’t decide whether you have one condition or another, a Virtual Doctor Visit online consultation can help you understand how to tell the difference. How Do I Know a Virtual Doctor Visit Consultation Will Help? A few years ago I got a call from a patient in Thailand. He had an injury that had persisted years. He had seen other doctors, but he had not been getting better. We discussed his problem. I described the anatomy and asked him to push on a few different structures. We discussed what was wrong and what he needed to do to get better. I have received thank you cards from the Philippines, phone calls from England and emails from Germany. All I am saying is that they got better without even seeing me in person. Can I Book a Virtual Doctor Visit Consultation with Doc On The Run? Maybe…but it depends on where you live. Telemedicine is defined as the delivery of medical advice via electronic means. Phone calls, email and web-conferencing are all examples. Some states prohibit telemedicine by doctors in another state, unless the doctor is licensed in both states. Dr Segler is licensed in California, Texas and Hawaii. If you live in one of those states, you are in luck. If you live (or presently are vacationing) in any country outside of the U.S., then yes, you are in luck. 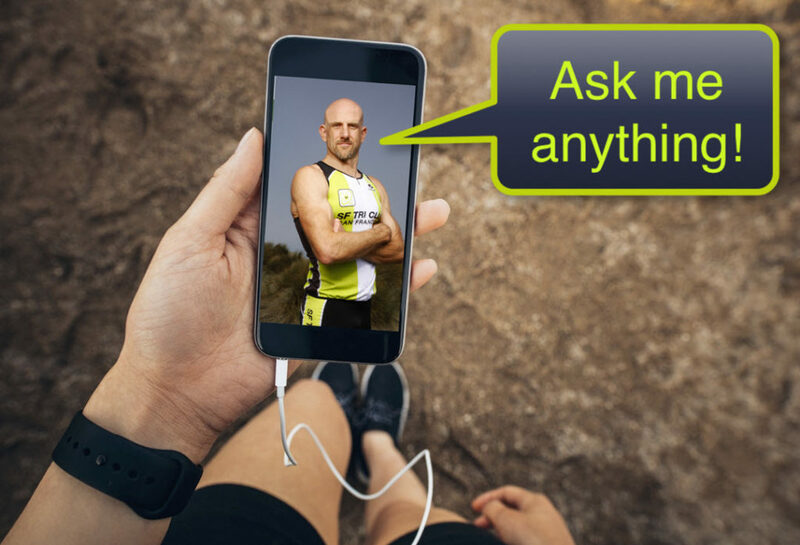 He will talk to you and can help you get back to running. If you call from any other than the previously listed states………Dr. Segler will not diagnose or recommend treatment for your condition by phone. Unfortunately, in those states, you are limited to seeing your local doctor. However you may be able to find all of the information you need under the D.I.Y. for Runners section. Start there. How Can I Book a Call? You can book a call with our online scheduler here. Just pick the meeting option that works best for you. You will then get immediate access to our online booking calendar where you can select your chosen time and block Dr. Segler’s calendar for your consultation. Will my insurance coverage pay? Maybe…if you have telemedicine coverage (which many insurance companies offer as of 2015) your may submit your invoice to your insurance carrier for reimbursement. Check with your insurance company to find out whether or not they will reimburse charges for telemedicine consultation. Thank you Dr. Segler for going above and beyond what I expected, and for making me feel "normal" again! I am really grateful. I live in Ireland and arranged a Skype video call with Dr. Segler. I didn't know what to expect with a video call, but it worked out really well. I suffered from pain under the head of my 5th metatarsal of my left foot having done a lot of cycling and running in recent years. He quickly got to the bottom of the issue, and thoroughly explained each technical area with clear drawings and demonstrations of the skeletal foot model. Being an athlete himself it was reassuring that he understood my desire to get back out and training again. We was unbelievably professional, thorough, and so easy to talk with. Instead of immediately prescribing expensive orthotics and surgery like other professionals I had spoken to, he gave me simple step by step solutions to overcome my problem. I could not speak highly enough of Dr. Segler and my experience with him. Thank you. I had been suffering from a foot injury for 18 months with no clear diagnosis or plan forward. I had also seen some of the "best" doctors in Boston, who didn't seem to have more than 20 minutes to talk to me about my issue. I began to research specialists and came across Dr. Segler. After reading about his unique approach and experience as a competitive athlete, I knew this was the man to see. Because I had a trip booked to the Bay Area, I was lucky enough to be assessed in person. Dr. Segler took the time to walk through my entire history and explained what the MRI revealed (this had never been done by my other doctors) Dr. Segler spent well over an hour explaining the injury itself and the complications that I was experiencing. For the first time, I thoroughly understood what was happening with my foot and a plan forward. Most importantly, Dr. Segler understood that, as an athlete, "just staying off it" was not an option for me. Dr Segler is compassionate, intelligent and invests time and energy in his patients. Why can't all medicine be this way? Maybe it can. I live overseas and was basically went looking for the best person I could find that would do remote Skype appointments. I think we are just starting to get into the era of doctor visits via the internet. We are so used to going to our local doctor and then maybe getting referred to the 'best doctor in the region.' With Skype we now have the ability to find the 'best doctors in the world.' Look no further. So different from any doctor I've ever worked with. I called his number and he actually picked up the phone himself. Was able to very accurately assess what my current problems were from an MRI I sent him. Very patient and helpful going through all the minutia of my problem; specifically what got me into this problem and how I can get out of it. I am s used to spending 20 minutes with a doctor that are just to get to the next patient, that spending over an hour and a half with Dr. Segler felt great. I've been living with PTTD for about a year and felt like I was running out of options. There is no magic bullet, but it was so nice to hear concisely what all of my options are. He is the 4th doctor I've seen for this problem and by far the most thorough and well versed. His drawings and models of the foot went a long way for me to wrap my head around the problem. Lastly the cost is very reasonable. I've easily paid twice as much for a small fraction of the information that I received. If I have one regret, it's that I didn't find him a year ago.